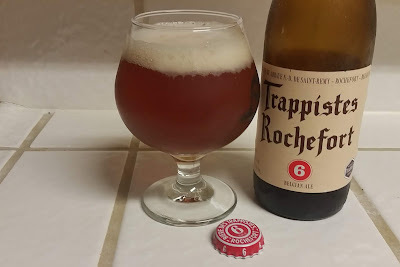 Rochefort Trappistes 6 - AoM: Beer et al. Three hours later, I drank the second half of what I poured and it was warmer, stronger, and tastier. It was not overpowering compared to other Belgian strong ales I've had when they are warm. Pouring the rest of the beer, it had a refreshed carbonated test. *I assume this note refers to a combination of the alcoholic strength and flavor. 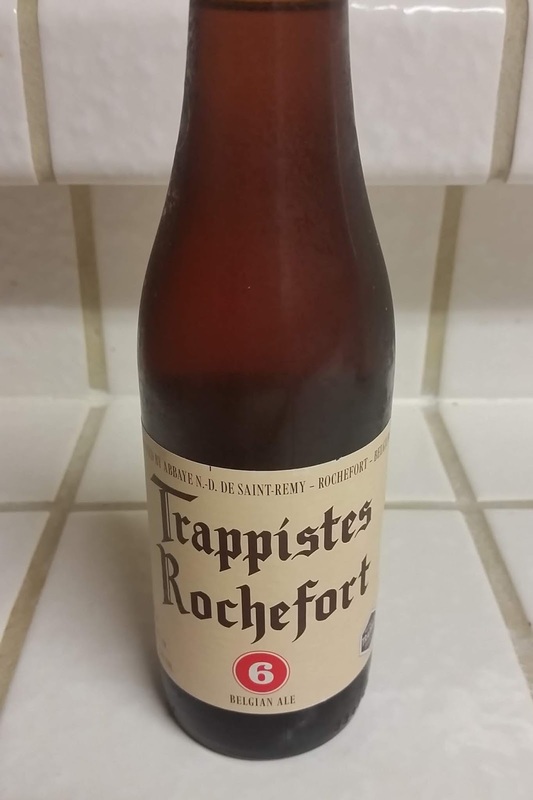 Rochefort Trappist 6 is named after its original gravity measured in "Belgian degrees" - a brewing scale no longer used today. It was first sold to the public in 1953. Reddish-brown color with amber-gold highlights; soft body leads to earthy flavors and an herbal character. Refined, soft spiciness in the bouquet finishes with a bit caramel. Bottle-conditioned for soft natural carbonation. Cream soups and rich dishes; can support vinaigrette dressing. Wonderful to clear the palate when served with concentrated, creamy foods. Serve in traditional Rochefort stemmed goblet. 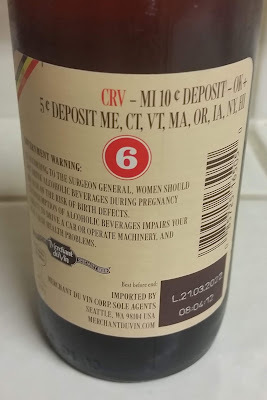 Ingredients: Water, barley malt, candi sugar, hops, coriander, yeast.